Wadjet (Uadjet) is the symbol of an ancient Egyptian goddess. 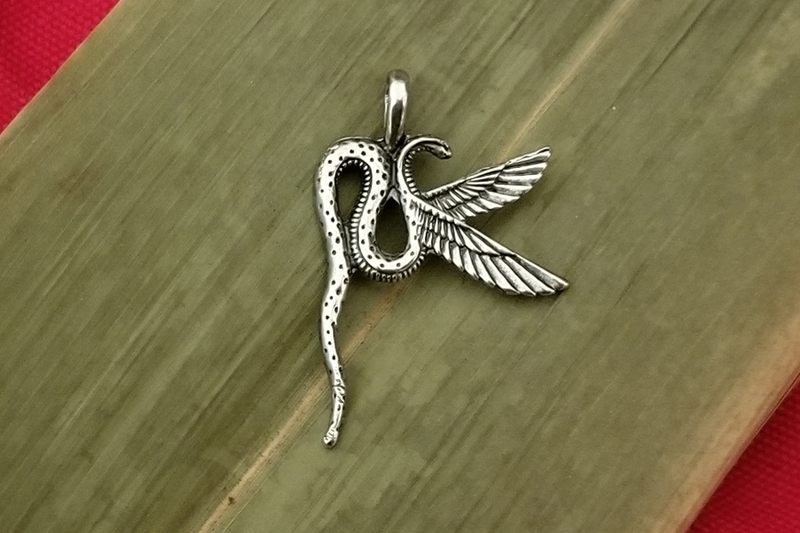 The cobra, symbolizes the power of an oracle. She had such power, that many of the ancient Pharaohs would wear her image on their headdresses. 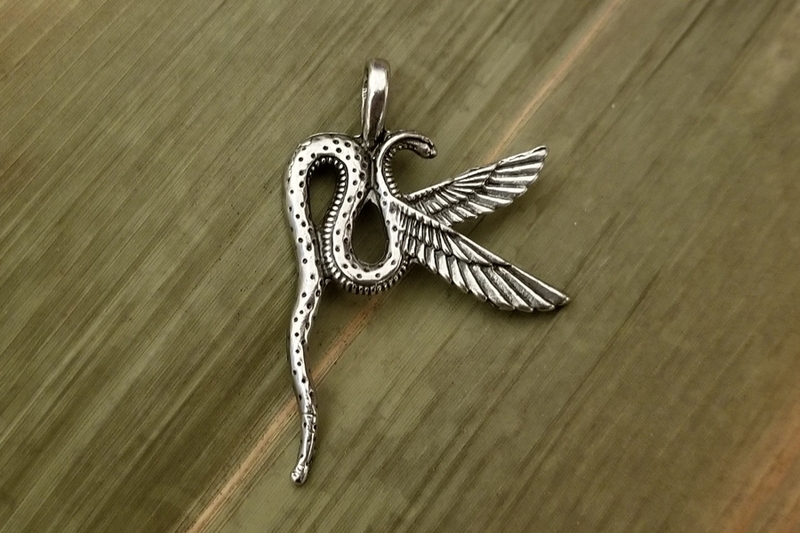 This pendant is unique in that the design features the snake's tail as long with a slight curl at the end and the wings as though she is in flight. Iincluding the bail, it measures about 1-3/4 inch high, 1-3/16 inch wide with a flat back. 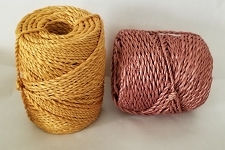 The bail (with a 5mm opening) will accommodate a larger leather cord or ribbon as well as a metal chain. Made of lead free pewter with oxidation for accent, this unique pendant is bound to begin many a conversation. Designed and hand cast in USA.